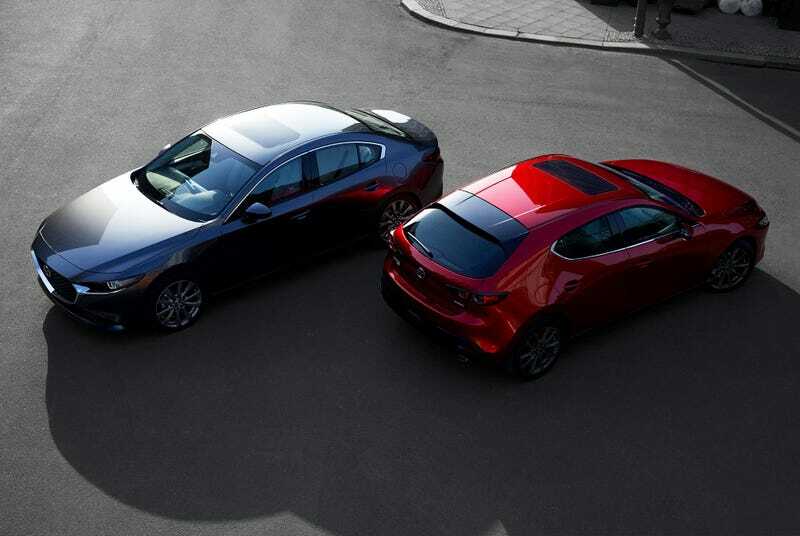 I know looks are very subjective but to my eyes except for the Mazda6 and perhaps the CX9, rest of their lineup looks pretty conservative and plain. 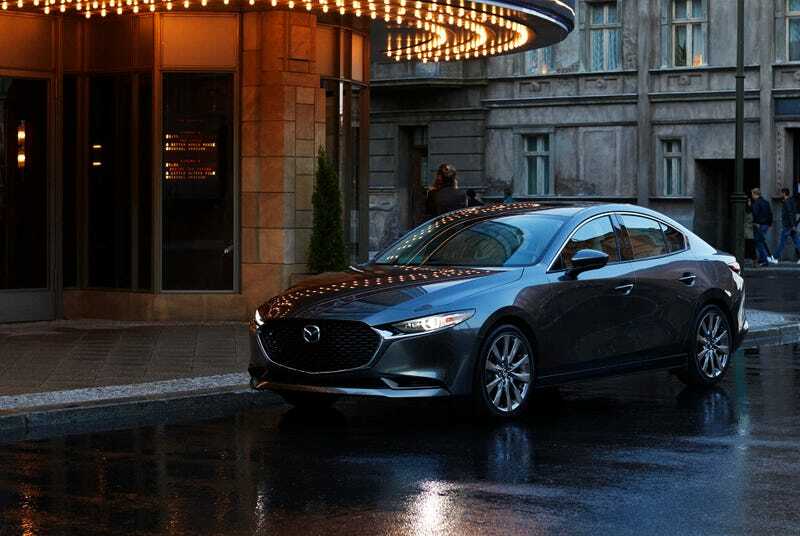 The Mazda 3 in its sedan form has to be the ugly duckling of the family with a rather gaudy grille and a rear that looks like an afterthought. Hated how CX5 looked from the front as well until they designed it and made it a bit more subtle and easy on eyes. 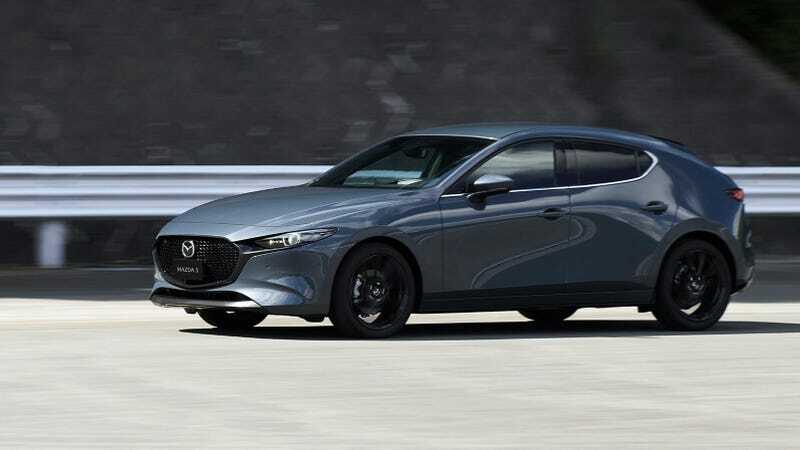 If these spy shots of 2019 mazda3 are anything to go by then its a huge improvement over the current generation mazda3 in my opinion. Jaggrey and jim94610 like this. Last edited by MadStyle; 11-27-2018 at 11:26 PM. The new 3 gets awd and the base engine is now the 2.5L. Anyone think an awd 6 or the 2.5T being dropped to the base model is a possibility for the future? I would love AWD. It's really the one thing I wanted that I gave up on when I bought my 2018 6. I did not care for a turbo, and I wanted a MT, so the 6 sport was a good fit for me. But I long for AWD. However, with AWD I would have to see the performance of sky-X in a NA engine. AWD adds weight. I feel the 2.5 NA engine works just fine, even amply well, with my MT. An AWD would more likely demand a turbo. Not sure how that fuel economy would come out. I got 38mpg highway coming home from AZ over Thanksgiving. I'd hate to have to give much of that up. Fuel economy was the reason I let go of my AWD turbo last month, opting for the 6 instead. I watched the reveal tonight of the new 3. I bought a Gen1 3s sedan in 2003. I feel the Gen 1 sedans were more beautiful than the hatches. However, that moderated in Gen2 and flipped decidedly in Gen3. Its hatches were much prettier than those sedans. I think Gen4 turns that around a bit. They've fixed the sedan design now. I was struck, almost surprised, by the fact that the Gen4 3 sedan seems to have taken several cues from the latest 6. Long hood/bonnet, black chainmail-esque grille, front end character lines. I like the back end on the new 3 a bit better than my 6, particularly that there is no molded-in spoiler-ish bumpout on the trunk lid. But apart from that, I think it's not significantly more aesthetically pleasing than the latest 6. Have to see one in person to validate that, though. K_Clark_17RTR and Kalalicious like this. I love the rear and the interiors look class leading by some margin. Somehow the front of the car and those huge C pillars looks off to my eyes. The front just drops abruptly from rest of the body and those slim headlights accentuates the almost flat look. There's also too much body on the C pillar, and those windows looks like visibility has been compromised. Again, looks are subjective, i'm sure there are others who'll dig how this car looks. Glad to see mazda, Honda and Toyota continue to improve these sub-25k cars and offer manual trans as an option. AWD is refreshing to hear in this segment and i'm sure it'll trickle down to the Mazda6 in 2020. I just hope they'll have one last mazdaspeed for both 3 and 6 before we all go electric/full hybrid. I’m really digging the looks too. I love the interior, the rear of the sedan and the fact that it has AWD. 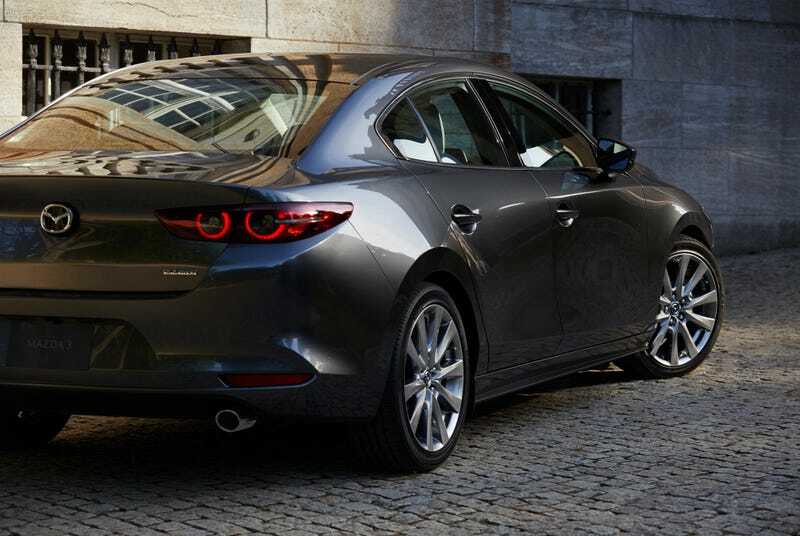 Mazda is really continuing to do well. 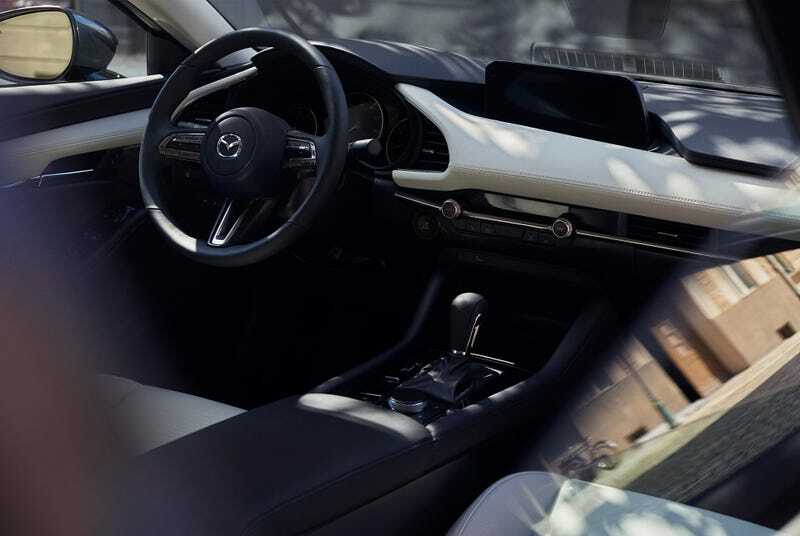 Even though sedans aren’t selling well in the US, I’m hoping Mazda brings the interior and design along with AWD over to the Mazda6 in the next year or two. Not a fan of the hatchback at all. Especially the back section of it. I know it's more expensive to do lines on body panels, but the hatchback just looks like it's severely missing something. The AWD alone makes me want to take this for a test drive! Hoping in a couple years the next gen 6 will follow through as well (or facelift with the new infotainment at least)! Fantastic looking car. 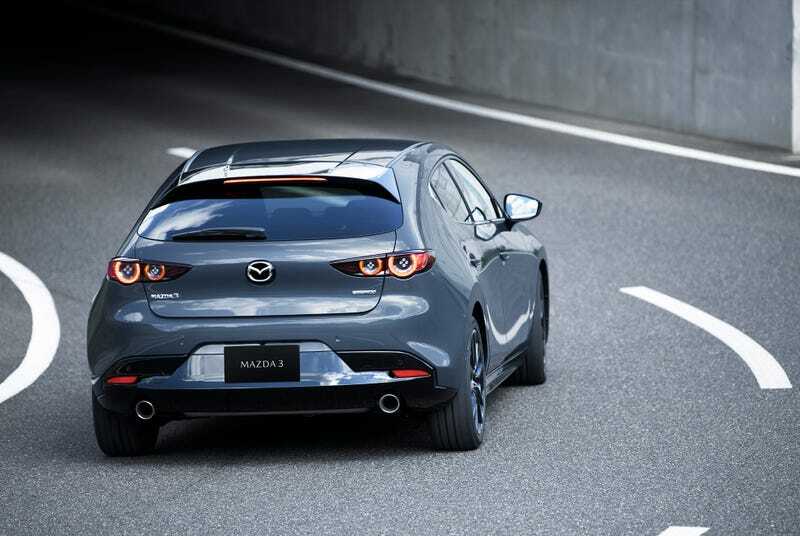 There's no news on trims, but I'm hoping Mazda offers a manual/AWD/SkyActivX option. I have a feeling the manual might be on the base engine only, or not available with AWD. Regardless, the Subaru Impreza should be very, VERY worried.